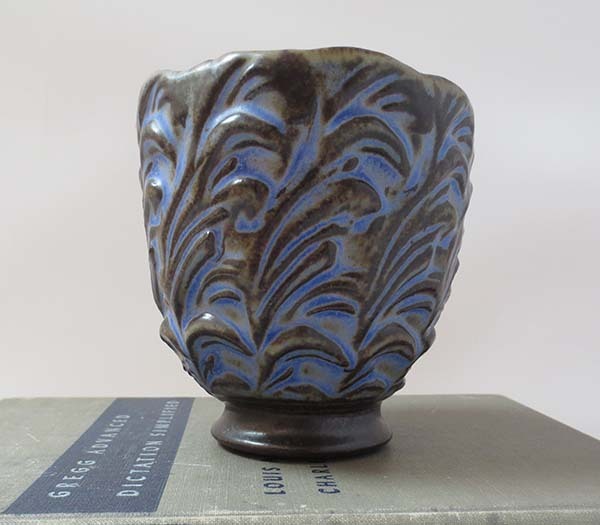 While I’m drawn to vintage things, I also have a weakness for artisan-made ceramics so I always attend our town’s annual Clay and Glass Festival. I’ve gone for years and it’s become a wonderful tradition now for me and my oldest daughter. Every year I find one or two pieces to buy. But this year I didn’t buy anything. No little vase, bowl, box or ornament. Don’t get me wrong…I still found plenty of beautiful things…beautiful things I wanted to buy, but I realized I could appreciate them without buying them. 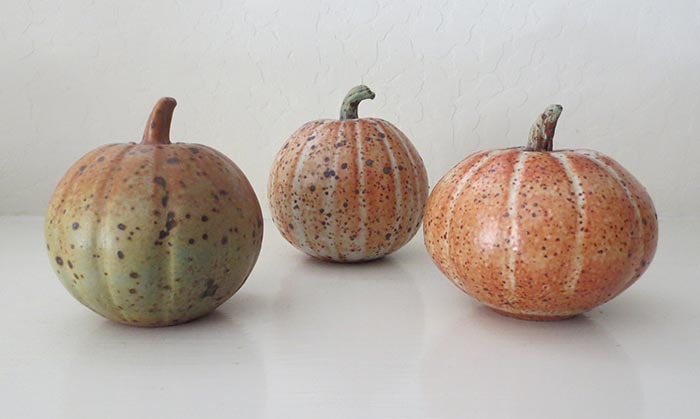 For years I’ve had a fetish for Hsin-Chuen Lin’s small ceramic pumpkins. I have no idea why. (I don’t buy anybody else’s pumpkins and no other vegetable or fruit!) I bought one, then a few years later another, then another. At four pumpkins I finally stopped. I said to myself, enough is enough. I didn’t even tempt myself by looking in Hsin-Chuen’s booth this year! I still like them and display them on our mantel in the fall. But this year when I got home from the festival empty-handed I started looking at the various pieces I’ve bought over the years. Most I still love and use. 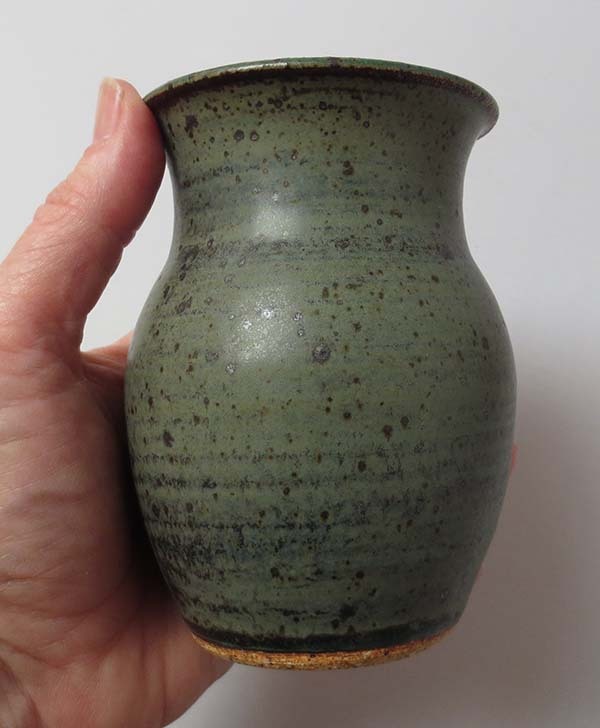 Here’s one of my favorite vases…it’s a simple shape in a green slate color. Nothing fancy and yet I use it all the time for small bouquets of roses, salvia and lavender. But I realized as I started pulling out pieces, that though I still liked them, they weren’t being used or displayed. Okay, time to let them go to new homes so I’m putting them up for sale. Due to Etsy rules, I can’t sell these in my Lion & Lamb Vintage store, so I will be selling these directly from this blog. So please do visit my new “For Sale” page and see what I’m parting with. And, as always, happy hunting! ← Yes, It Was Too Good To Be True! !